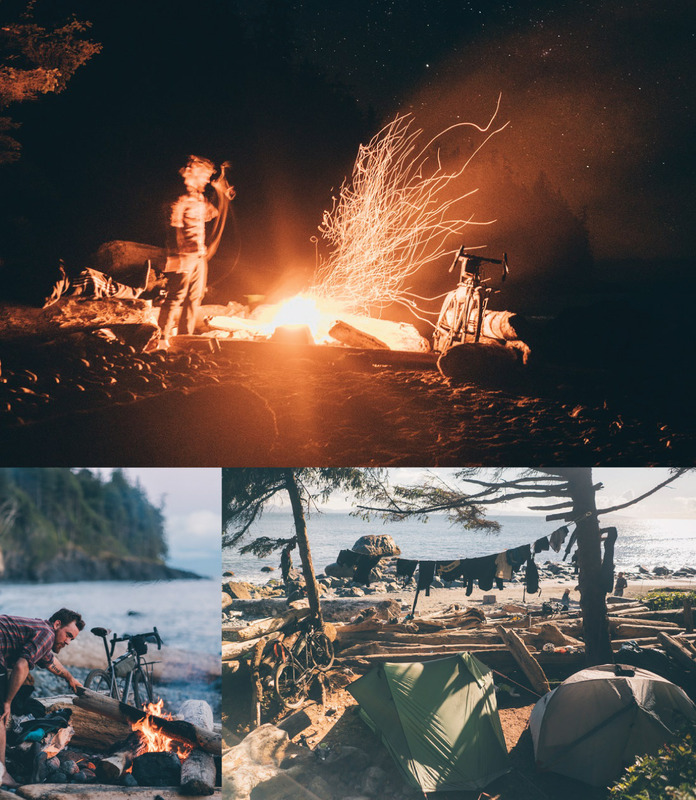 Giant RADventure Squad Members find new camp spots, friendships and sights on Vancouver Island, BC. 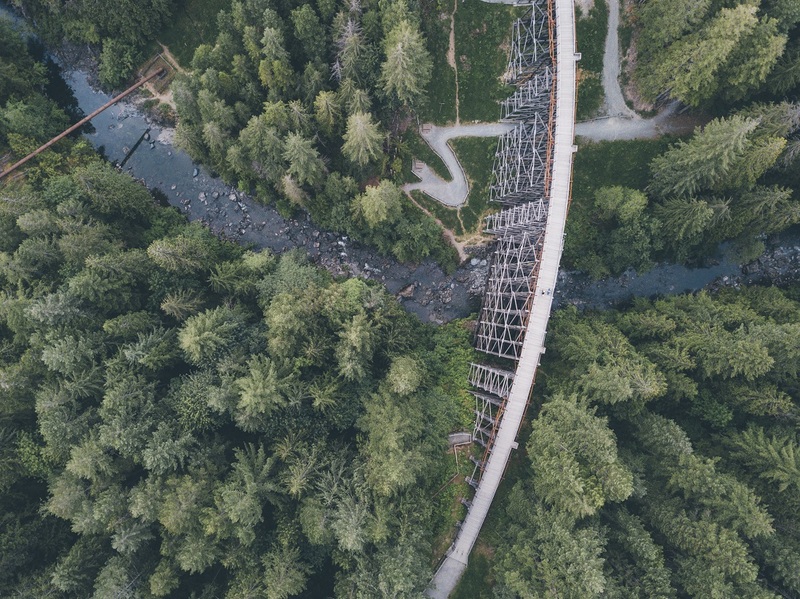 The Pacific Northwest is a playground ideal for two-wheel excursions in far-off places with only the bare necessities; mountains, lakes, rainforests and coastal beaches are all well within reach. I graduated from my solo, self-supported tour in Peru in January, and I had been eyeing up Vancouver Island, British Columbia, Canada as my next adventure. 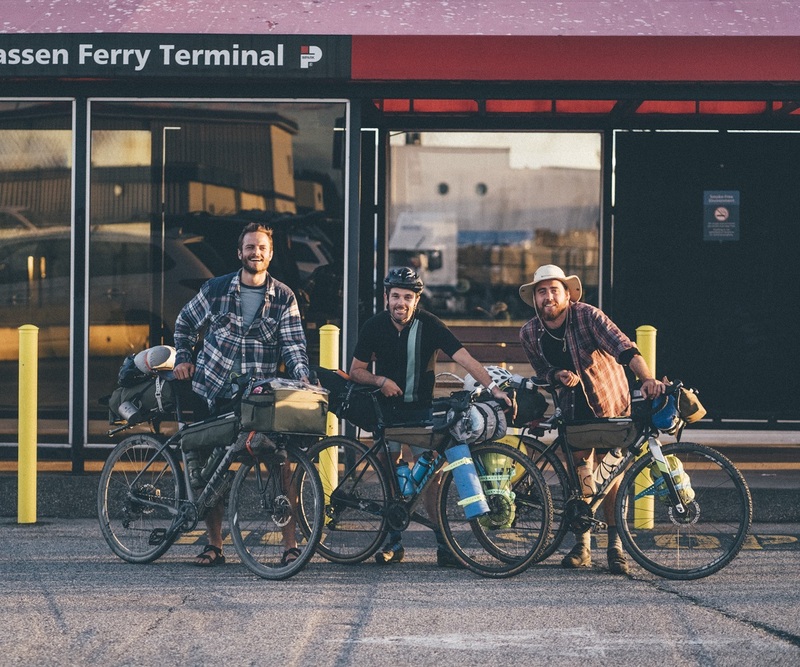 This time, however, I acquired a couple other bodies to come alongside me: Brett, who is new to the bikepacking world, but the strongest on the bike by far; and Josh, who is new to backpacking as well, but brings master camping skills and a light-hearted spirit that are so indispensable on trips like these. This trip was more than just an excuse to ride. The three of us go back to university days, but, as age-old as the story is, life has demanded different things of each of us and we inevitably don’t see each other as often as we once did. 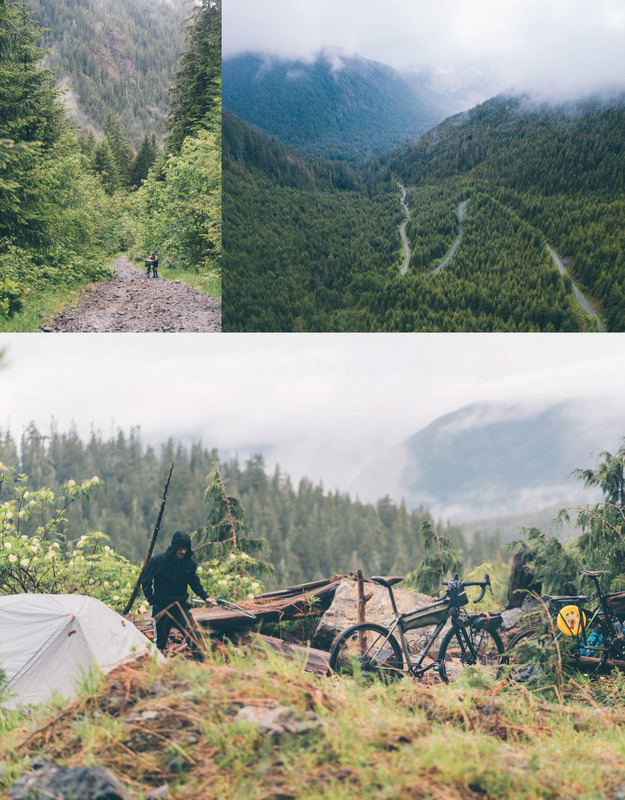 This was our solution: 5 days, three bikes, one route. To begin, we all stared at hundreds of items wondering how we’ll fit it into our bags. Let the purge begin! 6-cup Bialetti? Hmmm, maybe the 3-cup. Jambox? That is luxury, but the iPhone will have to do. Cedar plank for seafood? What is this? Fine dining? After rounds and rounds of packing and re-packing, we somehow found ourselves standing at our starting location ready to ride. Our hearts were set on gravel and solitude, so day one was all about getting to our first location as quickly as possible. After a couple boat rides, a few trestle bridges and some late night riding by headlight, we made it to Lake Cowichan. We crushed nachos and tucked into our cushy, hotel beds for one more sleep in luxury. Day two is defined by one experience - the soul-searching climb of Mount Bolduc. This hike was recommended by a friend, Clay Webb. He said, “If you wanna go for the epic view… the climb up mount Bolduc is EPIC, hard as #%$@ but if you have the time you should check it out”. Combine his recommendation with my never-ending hunt for beautiful alpine views and I was one hundred per cent game. The first few kilometres were a breeze. We were whistling and chatting about the good old days, but ignorance is always bliss! The last few kilometres tested our limits. Its relentless grade and chunky terrain, produced comments like “why are we doing this?”, “let’s go back”, and, my personal favourite “Ben, I hate you”. If this wasn't enough, we were completely socked in and completely soaked. You could say spirits were the opposite of high. At this point, there was no such thing as “riding” your bike. It was a full “push” mode. Brett displayed his character by riding one bike a kilometre up the mountain, running down, and riding another bike up. He. Is. An. Animal. We named this the “Brett Shuttle”, and we might still be climbing to this day had it not been for him. Thanks to Brett’s incredible endurance, we made it to the top, set up camp and enjoyed a bottle of vino and warm food. If that doesn’t lift your spirits, I don’t know what will. Day two is defined by one experience - the soul searching climb of Mount Bolduc. After an average sleep, we slowly worked our way back down the sketchy descent. Ever want to test how well you packed your bike? Just find a really steep chunky gravel descent and descend it full tilt - items are sure to fall every kilometre or two! 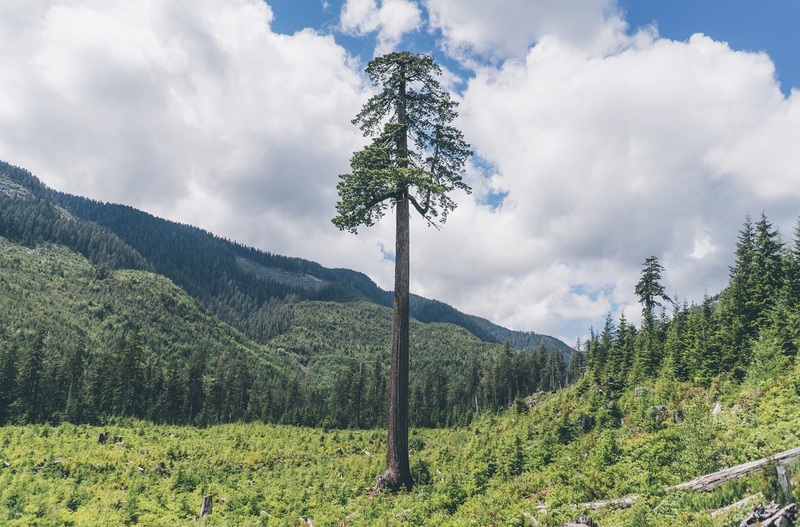 Day three’s highlight has to be seeing a local landmark, Big Lonely Doug - the second largest Douglas Fir Tree in Canada. While clearcutting in 2011, Dennis Cronin (site supervisor) made the decision that Doug, the towering fir, had to stay. So, Doug stands alone in the vast open space, and he truly is special. There is something about standing at the base of this sixty-six-metre fir that humbles you and inspires you all at the same time. We spent the last leg of the trip that day floating on gravel, leaving all of the noise of the world behind and just riding - a great state to be. It was getting late as we rolled into Port Renfrew so we decided to stay there for the night. A solid meal and a few beverages put us right out for another day in the saddle. While clearcutting in 2011, Dennis Cronin (Site Supervisor) made the decision that Doug, the Towering Fir, had to stay. We woke up to more rain; one of those rains where it’s either full on monsoon or fully dry. We tried our best to time our window, but we got hammered anyway. It rained so hard that, when I finally stepped off the bike, it felt like I had more water than a foot in my waterproof shoes. This could have been a miserable time, but Josh began belting out the leading vocals to one of his favourite Great Big Sea songs. For any of you who don’t know, Great Big Sea is a Canadian folk-rock band that is best known for their loud sea shanties. It was just enough madness to keep our spirits up. We finally arrived at the trailhead that leads to our final destination, Mystic Beach. The trail is a 2km technical hike, which was interesting with heavy bikes. We inched our way down and, with every step closer to the beach, the rain eased and the sun rolled in. It was glorious. We set up camp and attempted to catch a few crabs, no dice this time! To warm up we hustled to get a fire going and laid out all of our rain-drenched clothes to dry. We sipped on vino, told stories and photographed the stars. It was the perfect final camp. To warm up, we hustled to get a fire going and laid out all of our rain-drenched clothes to dry. It wasn’t easy to pry ourselves away from this spot early the next morning, but we had a 6 pm ferry to catch and a serious amount of gravel left to climb! Brett figured it would be tight especially considering he was lugging Josh and I with him, so we rolled out and gunned it. 90 km into our final climb, Josh and I were crushed. So much so, that an emergency stop at a gas station close to the ferry called for Slurpee’s, Magnum Ice Cream Bars and a Snickers. It’s all a blur, but I’m pretty sure a beach nap also happened at some point. All of the suffering aside, the most memorable moment was when Brett initiated the “trifecta push” during one of our final hills. He started pushing Josh, and Josh started pushed me up the hill. It was a great moment, a testament to our friendship, and a great laugh. Looking back on it now, I don’t immediately recall the beautiful views or even the perfect beach camping. 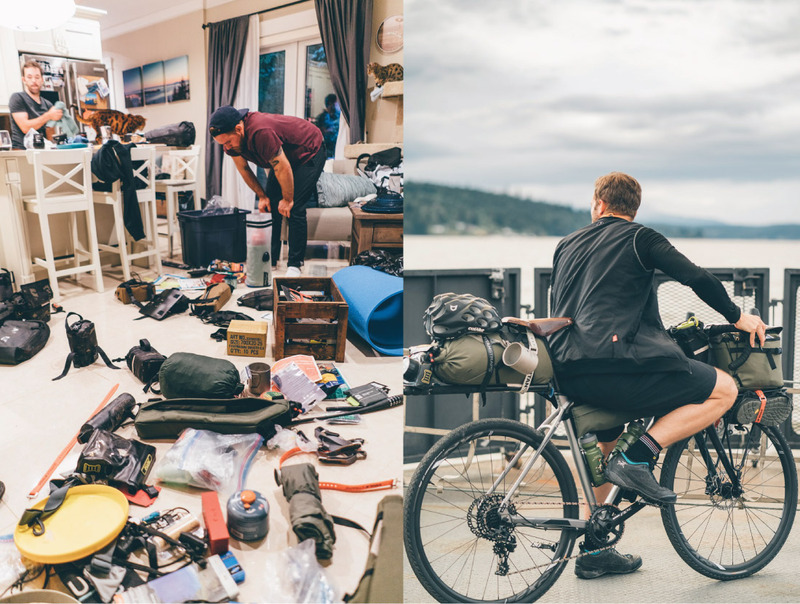 I think of us staring at all of our items and having a good laugh as we wondered how we’d ever fit it all on our bikes. I think of riding mid-monsoon and singing the lyrics to Canadian classics anyways. I think of Josh’s rear rack blowing up and laughing as we duct taped it back together. I think of slowly walking up a steep mountain soaking wet and marvelling at Brett’s display of endurance. So, yes, we got epic climbs and incredible scenery, but, more than anything, we got time together. We got good laughs, we got angry outbursts, and we got the “trifecta push”! 5 days, three bikes and one goal accomplished.